Grilling with charcoal is enjoyable, cheap, and usually results in better-tasting food, but it’s a little trickier than propane. Here’s our favorite accessories for improving your charcoal grill experience. There are a lot of really great accessories that are nice to have for grilling in general, whether it’s gas or charcoal. This guide will focus on tools and accessories that are specifically aimed at charcoal grillers. With that in mind, we’re skipping the basics, like utensils, a thermometer, and more. For that, you can check out our general grilling and BBQ guide. 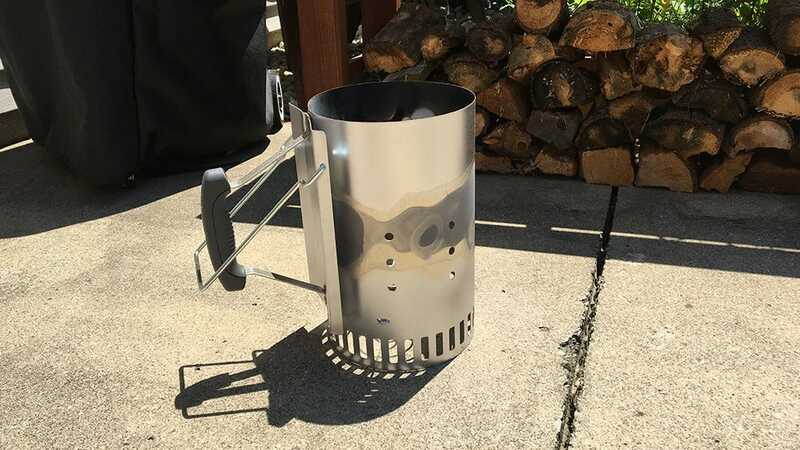 If you still light your charcoal the old-fashioned way (dump charcoal in grill, douse in lighter fluid, and light), you may want to look into getting a chimney starter, like this Rapidfire model from Weber ($15). It makes lighting charcoal way easier and way quicker. Just stick some newspaper or other fire-starting material on the bottom, fill with charcoal, and light your material. In 10-15 minutes, you’ll have perfectly-lit charcoal every time. When it’s ready, just dump the charcoal into your grill and you’re off to the races. The best part, though, is that there’s no need to use lighter fluid at all, which can impart a funky taste onto your food in the first place. And even better yet, you can use the chimney starter itself as an insanely-hot charcoal grill for the ultimate sear. Just place a grate on top and plop your burger or steak down. After you dump your charcoal into the grill, you’ll need to wrangle them up and organize them accordingly, especially if you want to take advantage of the two-zone method. For this. you’ll want some kind of charcoal rake. 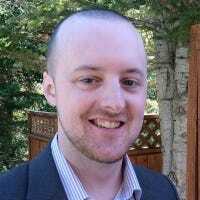 You could technically use just about anything, from a scrap piece of lumber to an old set of tongs. However, this stainless steel charcoal rake from Weber ($15) is meant for this kind of job. 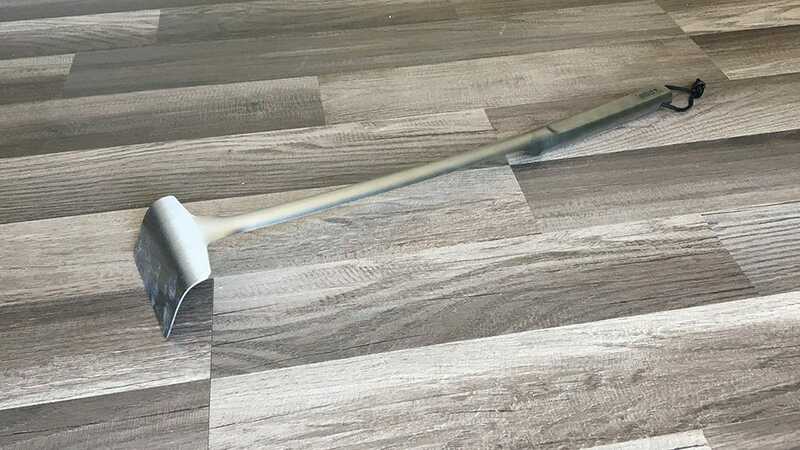 The rake has a large-enough surface area to move around charcoal quickly and easily, and its long handle allows you to keep your hands far enough away from the heat. Unfortunately, a lot of charcoal grills don’t come with built-in side tables like most gas grills do, which is why a separate side table is a must-have for charcoal grillers. There are a lot of different options you can go for here. You could get a grill cart that’s actually made for these purposes, or just go with a simple outdoor table that you can fold up. 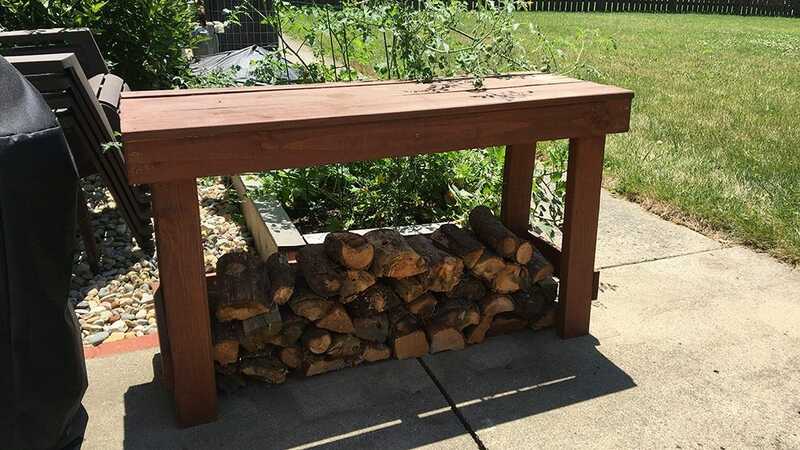 If you want to save some money, though, anything with a big-enough surface can get the job done, like an old TV tray or even just something you build yourself out of some scrap lumber (like I did in the image above)—just make sure you have something that you can set things on while you’re grilling. Charcoal grills can get extremely hot, which can be dangerous when you’re shuffling around charcoal. Do yourself a favor and get a cheap pair of welding gloves ($12). 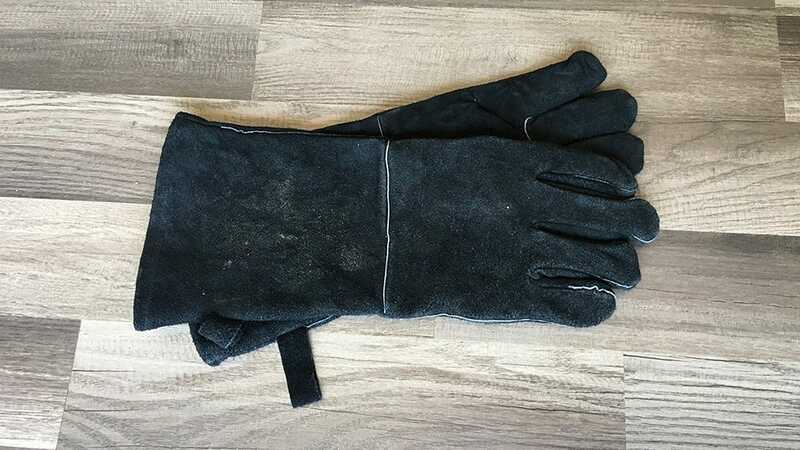 You could get a specialty pair of grilling gloves, but welding gloves accomplish the same thing and are much cheaper. They even allow you to pick up scolding-hot grates or lids without injury (although only for a short period). Plus, welding gloves have a long gauntlet that can sometimes reach all the way to your elbows, so they’re simply the best thing to wear for heat protection in general. 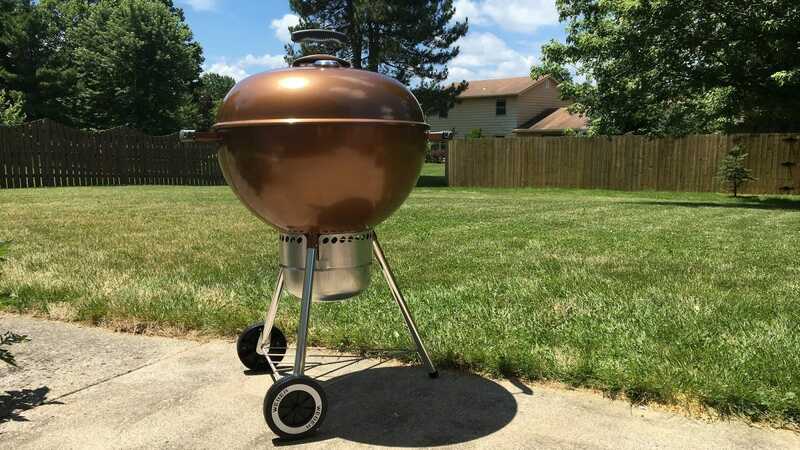 Cleaning ashes out of your charcoal grill can be a pain, and it’s one of the biggest reasons that gas grills are so popular. However, a bench brush ($6) can make the clean-up process a lot easier and quicker. Most charcoal grills come with a mechanism at the bottom that allow you to easily dump the ashes out into a bin, but a lot of it still gets stuck behind inside the grill. A quick wipe down with a brush can make the process go a lot quicker. 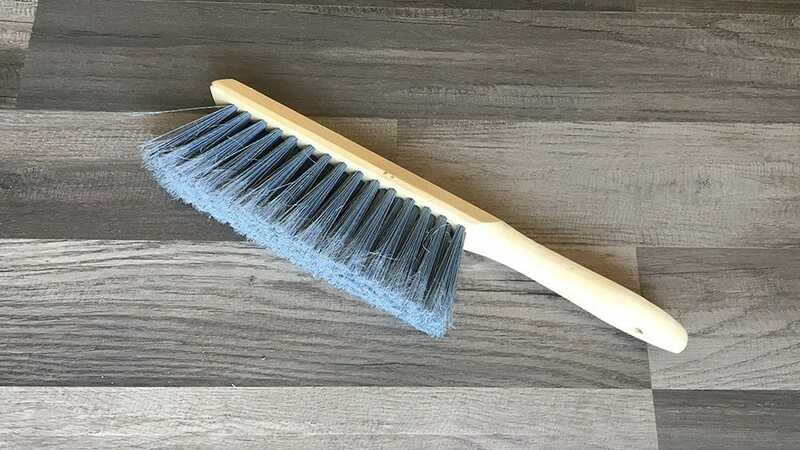 Technically, you could use any brush that you have laying around, but a bench brush will give you a lot of surface area for quicker cleanup.